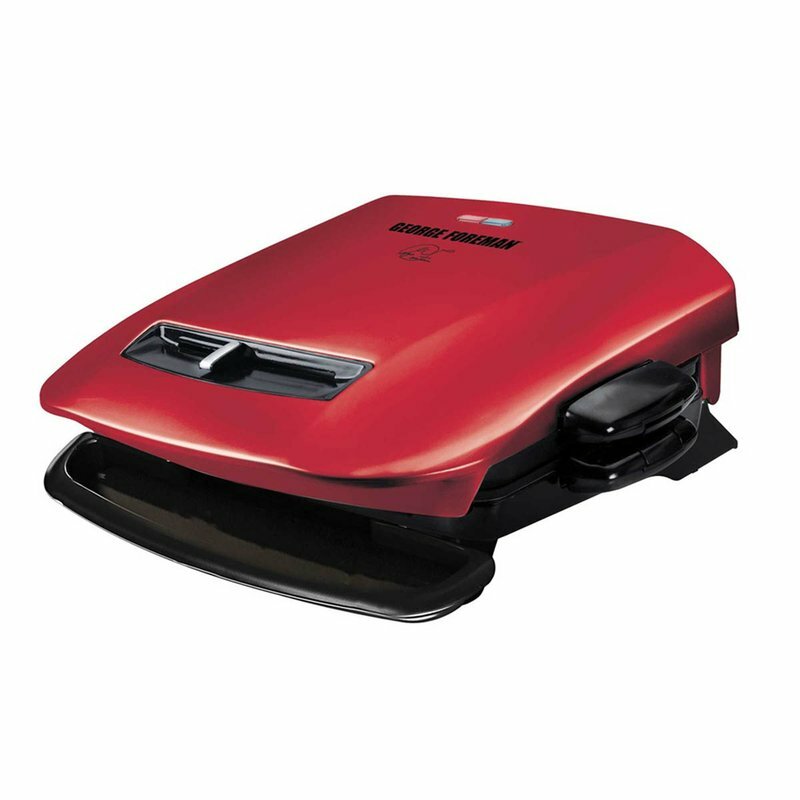 Serve the entire family a variety of foods on the George Foreman 5 Serving, Classic Plate Grill. The 2-n-1 Grill and Panini feature includes a 1.5” adjustable cooking height hinge for cooking juicy burgers or thick sandwiches. The George Tough nonstick coating and dishwasher-safe removable plates make clean-up a breeze while the exclusive slope design removes 42% of fat from uncooked ¼ lb 80/20 Ground Chuck burgers.